I found out about Triberr a few months ago after being invited to a group by Michael Q Todd, before then I had heard very little about it. I must admit that I was a bit skeptical about it initially but there were so many amazing people from my social circles involved that I thought what the heck, let me check it out too. I had just moved my blog from Posterous to WordPress and lost a bit of traffic with the move so I went for it and I have been very pleased with the results. Everyone wants to increase the reach and traffic to their blog and Triberr is a platform that allows you to do that. Now that it is open to the public and no longer in beta the potential of blog growth is HUGE. 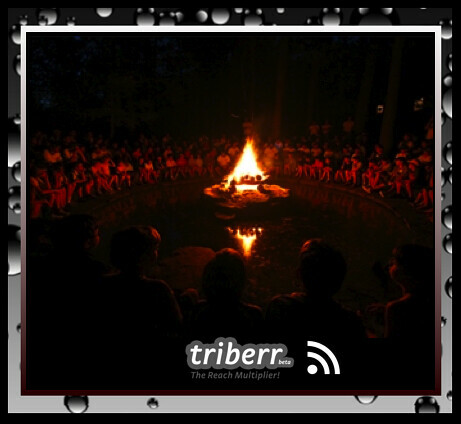 In a nutshell, Triberr allows you to create a tribe, add members of that tribe and share blog content through RSS Feeds through the Twitter feed of your tribe mates. Check into Triberr at least once per day depending on how many tribes you belong to. I try to check in twice per day because I belong to quite a few tribes. Load share buttons and share content using +1 and StumbleUpon. Follow all of your tribe mates on Twitter and other social media channels. Get to know your tribe mates! Share great content of your tribe mates on your other social media channels. This is a great checklist Anise. I want to take a day and comment on every blog that is posted from my tribemates. On my list for February, and certainly a challenge. Thank you so much Steve! I, too am working on the blog comments ! These steps are really great advice for success on triberr! I am guilty of not getting to every blog but I definitely make sure I visit ones where the topic overlaps what I blog about. Hi Candace! Thank you for taking time to read and comment! I have a bit of work to do to be a better Tribe Mate as well, I am especially working on leaving comments! Very cool post Anise – I was trying to get my arms around it but still struggle. 2) What are bonfires – when do you use them? 3) Do I have to buy bones or is there an easy way to earn them? 4) Now since I have a tribe, what do I do next? 5) What do I do to benefit from tribes? 6) What do I do to help others? Hi Axel!! Thanks for taking time to read and comment! 1. You should see your invites after you log in, it will be called Inbreeding. You an accept or decline tribe invites there. 2. Bonfires, I believe are a way to post questions to be answered. Usually Dino or others will answer them. 3. You may have bones, but if you join a group it will utilize your bones. You can also earn them through giving karma to group members posts. 4. You should invite people to your Tribe. I would stick with people with similar or complementary content. 5. The great thing about tribes is that it allows you to extend the reach of your brand and content. It also allows you to connect with some amazing bloggers. 6. I use give karma, share blogs to my other social media channels and +1 and stumble all blogs that I share with my Twitter followers.